Regular lawn care service can be tedious and time-consuming. Let our professionals take care of all your lawn care needs​. Want a beautiful landscape or just a simple flower bed, but not sure where to start? Let our designers take care of everything from design to execution. Don't let leaves ruin the way your yard looks. We can quickly and affordably remove leaves and debri from your property. All new customers we require that they get on a weekly or every other week lawn cut schedule first. Then from there we do all the extras services. 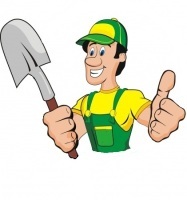 We are a full lawn and landscaping maintenance company providing professional hassle free services. We do not do anyone time services sorry. The equipment our teams use is the best of the best commercial equipment allowing us to be able to do all your lawn and landscaping services more efficiently and in a timely manner. Our blades on the mowers are sharpened daily so that your lawn cut looks perfect each cut. We use an edger with a metal blade, not a weed eater, to edge your lawn. This will leave your lawn edge looking perfect. For those who want a luscious green lawn we offer our fertilization, pre-emergent, weed control plan. All of the fertilizers, pre-emergents and weed control will be applied at the correct times. making your lawn look the best it can possibly look all year long. The products used are commercial grade that require a license to buy and use. Its 7 applications per year. Billing is made simple by us. We our 100% auto pay/ charge. We email you a copy of your invoice the day after service and the next day after that, 2 days after service we charge your card. The programing we use allows us to do alot of things the other companies can not do. Such as we can email or text you the night before we come always. The service we offer is top notch. You have never experienced a lawn and landscape maintenance service like ours and how on top of everything we are. Hassle free and professional work is guaranteed. You can rest assure knowing that your lawn is being taken care of by the best in the business, offering professional lawn service. We stand behind our work 100%, if you see something you’re not happy with, we will come back and fix it for free. It’s rare but we do understand that sometimes things get missed if this happens just let us know and it will be fixed. Friendly customer service is always here to answer all you lawn service and landscape service questions or help you anyway we can. We have many different ways to contact us including email, text, or calling. 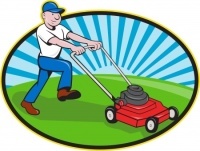 We aim to please as we want to be your last lawn care service. We want you to be a life long customer for all your lawn care services and landscape service needs. Give us a try you wont regret it!